The Child Health and Development Institute (CHDI) and Connecticut Children’s Office for Community Child Health have outlined a joint vision for improving child and population health, updating a framework from a decade ago to face new challenges and seize unfolding opportunities in children’s health. The new report, Framework for Child Health Services: Promoting optimal health, development, and well-being for all children,” highlights progress on implementing recommendations from the original framework developed in 2009, and advances five new recommendations for integrating child health services with a fuller range of services from other sectors, such as housing and nutrition, that contribute to optimal health and development. “We developed the 2019 Framework to inspire a new direction for child health providers, policy makers, insurers, and private funders to guide their efforts as they work to reform health care and improve population health,” said Paul H. Dworkin, MD, co-author of the 2019 and 2009 Framework reports and director of Connecticut Children’s Office for Community Child Health. While children in Connecticut are relatively healthy overall compared to children in other states, there are significant racial and ethnic health disparities, which start early and extend into education, employment, and adult health, organizers of the new framework noted. Over the past decade, research about the impact of the so-called “Biology of Adversity” on child health, development, and well-being has vastly expanded. This includes the impact that toxic stress, adverse childhood experiences, and adverse social determinants have on child outcomes. Supporting pediatric primary care providers to address families’ needs more broadly and connect them to social services or other supports that improve their well-being could lead to better long-term outcomes, including improved school performance, a healthier workforce, and reduced adult health care costs. The explosion of knowledge regarding early brain development in the 1990’s and 2000’s and its implications for child health service delivery provided the impetus for the initial Framework, officials explained. Successes from the original Framework include the state’s adoption of the medical home model for the delivery of primary care services, widespread adoption of developmental surveillance and screening, and extensive outreach to support pediatric primary care providers across Connecticut. 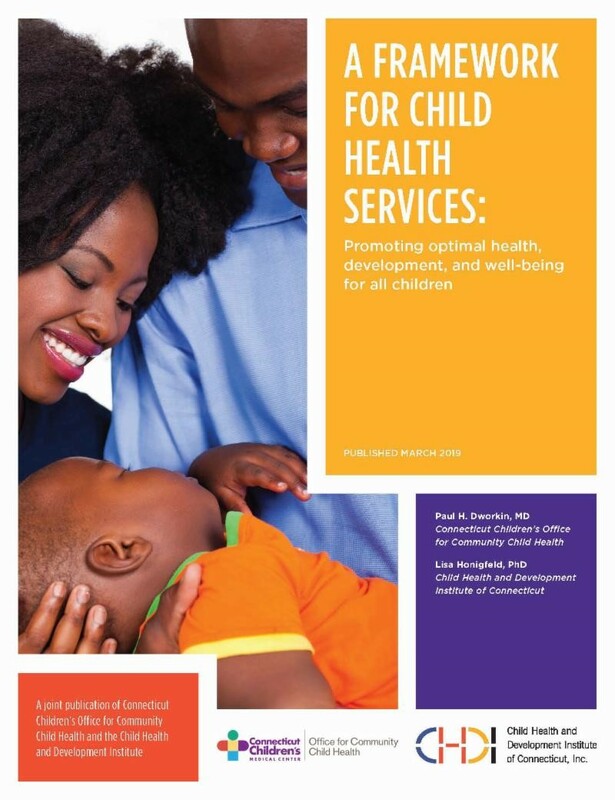 “Since the publication of our original Framework, we understand more about how social, environmental and behavioral factors affect children’s lifelong outcomes and now know we have to engage many sectors beyond health, family support, and early care and education to change the life trajectory of vulnerable children,” Dworkin said.